The generations of games, from one patch to another, or from an original release to the expansions that follow, exist as a rapidly fading history. Because there is no way to recover the old versions of these games, they only exist in the players’ minds and quickly become the product of idealization and legend-making. In the player community of these games, there is some amount of value attached to the experience of an original version of a game. This is, I think, mostly because those experiences are unrepeatable. Players who tell stories of that earlier time are sometimes respected for their experience, but oftentimes simply written off as players stuck in an old mindset. They are the old generation, despite the fact many are younger in real life than many new players. 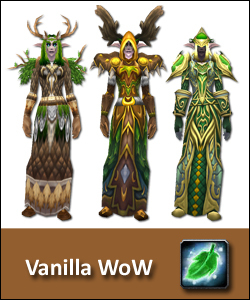 In fact, it seems that most players today, or at least most vocal players, never had the experience of “vanilla Wow” (that is, World of Warcraft before its expansions) and yet this “vanilla” enters into the common discourse quite often. The original (very broadly speaking) version of the game, that is, its average state before expansion, has become a product of myth in the community’s imagination. One will often hear of the idealized request for the past, either as a server which only contains that pre-expansion version of the game, or as a lament for the many changes that have occurred, of course all making the game worse in these grandiose cascades of rhetoric. New players, even though their age may be greater than earlier players, and although they may be veterans of other games or other genres, are a kind of new generation in the community of World of Warcraft. They only know a world that is remarkably scripted. Their experience has been one built for solo play. The story is much more predominant, not through text entirely, but through a world that changes before their eyes as it attempts to immerse them as a single player into the world. Many features in the game are “new” and facilitate play to an extent that was unheard of in vanilla. For vanilla players, the Looking-for-Group tool (which automatically forms a party of players for a dungeon) was groundbreaking. For new players, it’s an expected feature in every game they play. For vanilla players, phasing technology was astounding. The world had never changed before us like that. But for new players, they have nothing to compare it to and so are either unimpressed by the changing world or simply primed to expect it in every world they enter. With this perspective on WoW, the stories of vanilla, legendized and idealized as they are, sound like stories of a foreign landscape. And they are. With the release of the latest expansion, the actual World (of Warcraft) was completely redone. One could potentially do some virtual archaeology and find spaces, or creatures, or items left over from the earlier version of the world, but they would be few and far between, and most players would never encounter them. They are a new generation, not only because they’ve been “born into” a genre that has developed and shifted its priorities since 2004, but also because they are living in a world with a changed landscape. 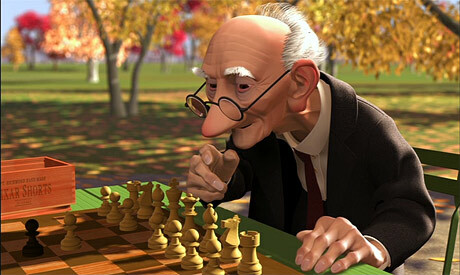 In games, generation gaps are only a couple years, while in real life, generations are typically a bit more. We now call ourselves “children of <insert decade>”. We seem to most identify with the decade in which we were a teenager. For many teenagers last week, the most searched phrase on Google was “Who is Osama Bin Laden?” For those of us who are children of the 70’s, 80’s or even 90’s, such a question is unthinkable. 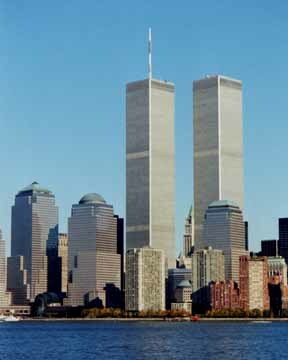 9/11 vastly impacted our view of the world, partly because we had an unblemished skyline to compare it with. For those of the new generation who only know a world after 9/11, the landscape in every respect is different from ours. We know this because of our own experience, but they only know it from the stories we tell. They are not only young, they live in a different landscape. The history that for us is a moment we vividly remember is for them just a story. Although they will likely not have the same worldview shift as we did, at least they are able to recover audio-visual artifacts and have a small glimpse of the horror of that day. Perhaps even, they are able to see the difference between our worlds. For the new generation of players in changing games, the history of those worlds is lost and there is no way to recover or relive those past experiences. They are only stories except for those who lived them. The new generation (of old and young alike) lives in the same world, but one that is completely different in ways they can only glimpse through legend. Emily: Great stuff! Even if it does make me feel old. (Who is Osama Bin Laden, indeed.) Have you seen an edited collection of articles called Playing the Past: History and Nostalgia in Video Games? Given the title, I’ve been wondering when/if it would come up on this blog. There’s interesting stuff in there about nostalgia for earlier game platforms, emulators, and history more generally.